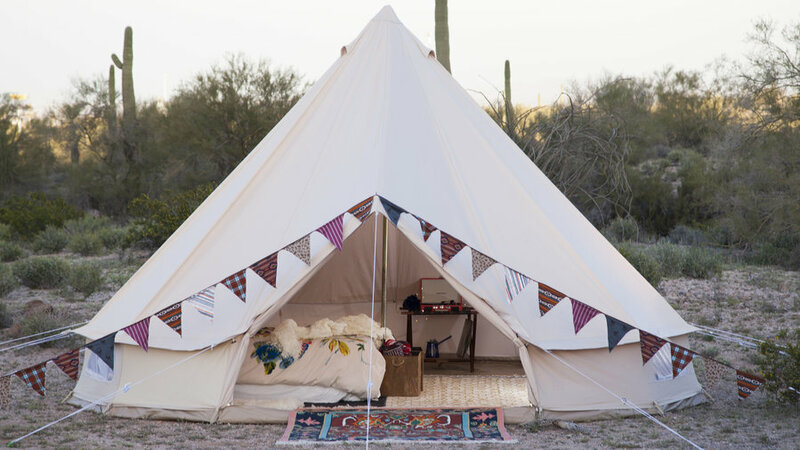 The most important part of glamping is a comfortable, luxurious tent, and the Stout Bell Tent ( does not disappoint. 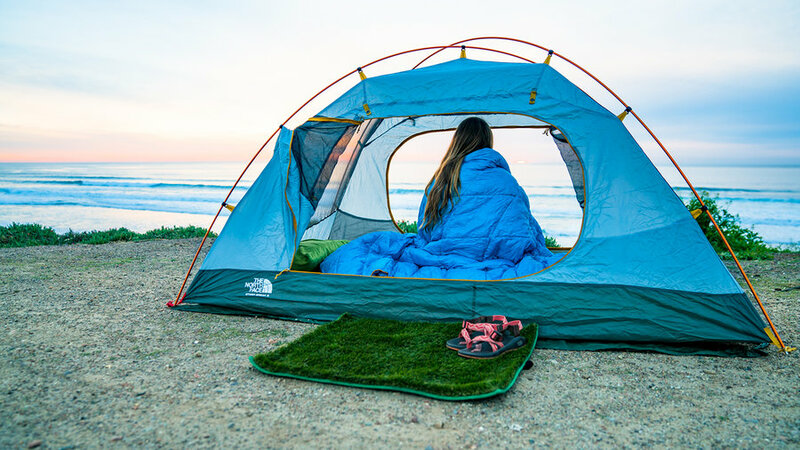 Made from durable canvas, the tent is waterproof and built to withstand some serious weather. While it’s not quite practical for the campground, the frontier stove is perfect to heat up a more permanent set-up. 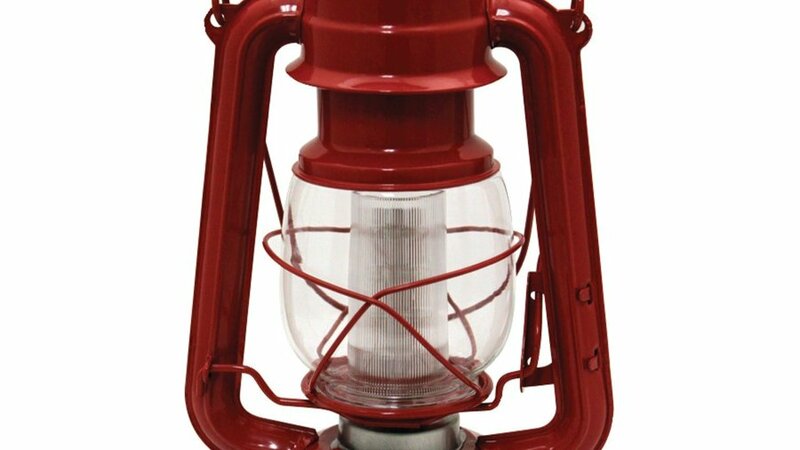 You don’t have to skimp on style or light with this LED lantern. The dimmable bulbs let you get the brightness just right, and the built-in handle makes it easy to hang wherever you need it. Leave the constricting, noisy sleeping bags at home. 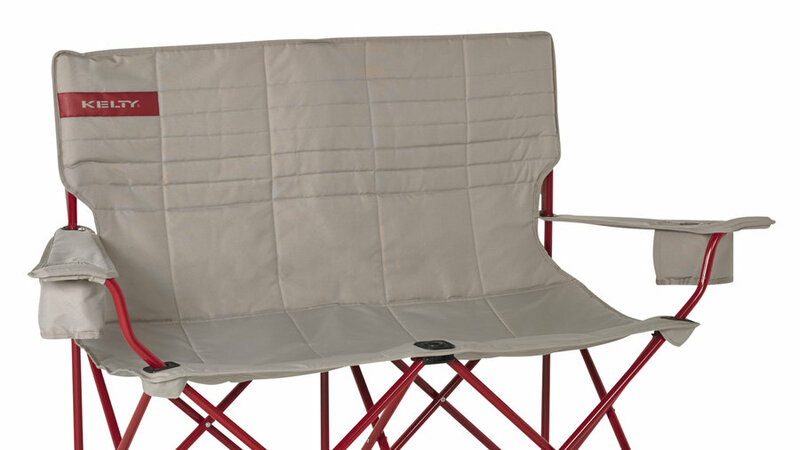 Rumpls’ Down Puffy Blanket is perfect for sitting around the campfire or snugging up on your air mattress. You can sleep easy--the blanket is made with sustainably sourced grey duck down. Part tent, part hammock, the Cacoon is the perfect way to lounge in the shade. Simply hang it from a sturdy branch (or a metal tripod) and enjoy the views from your perch. Choose from three sizes and 11 colors to find the perfect match for you. No camping trip is complete without a well-stocked cooler. This 54-quart stainless steel model from Coleman is tall enough to hold 2-liter bottles upright. 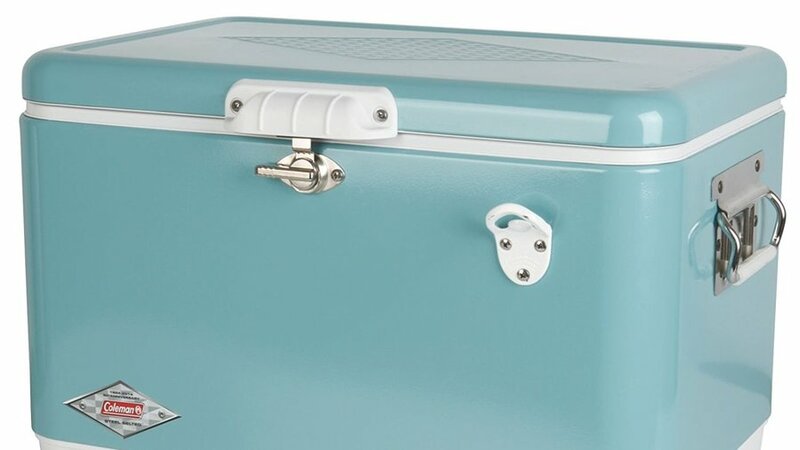 You don’t have to worry about your food staying cold–the cooler will keep ice for up to 4 days in 90 degree heat. Who said you can’t have freshly-baked cookies and cinnamon rolls while camping? 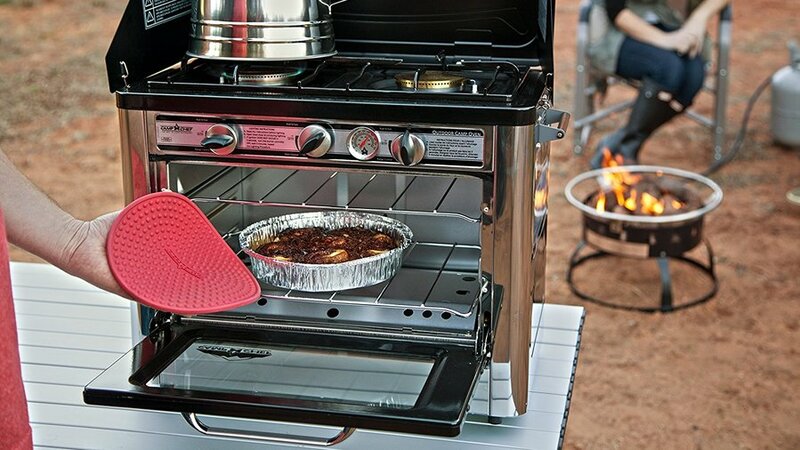 This two-burner camping stove from Camp Chef comes with a double-rack oven that’s big enough for a 9x13 inch pan. The entire unit runs on propane, and it weighs in at a reasonable 32 pounds. 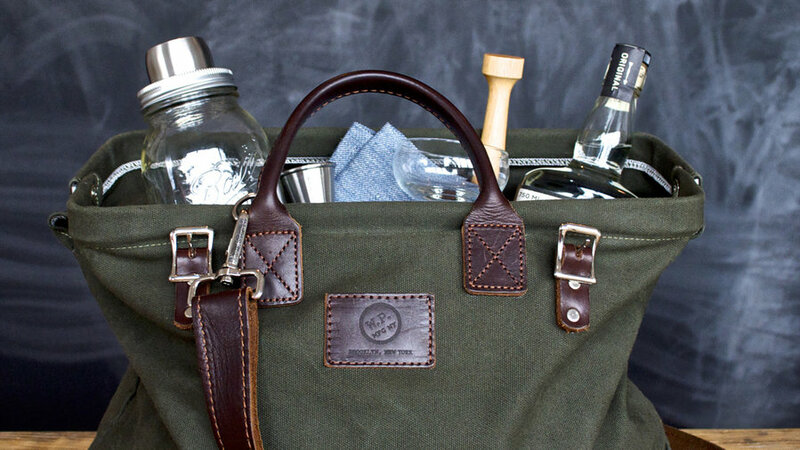 When canned beer won’t cut it, this cocktail kit will help you whip up something spectacular. You can make just about any cocktail with the included Mason jar shaker, jigger, muddler, and two coupe glasses. The set is secured in a canvas and leather travel bag. Just toss in your favorite ingredients and you’re good to go for the entire trip. 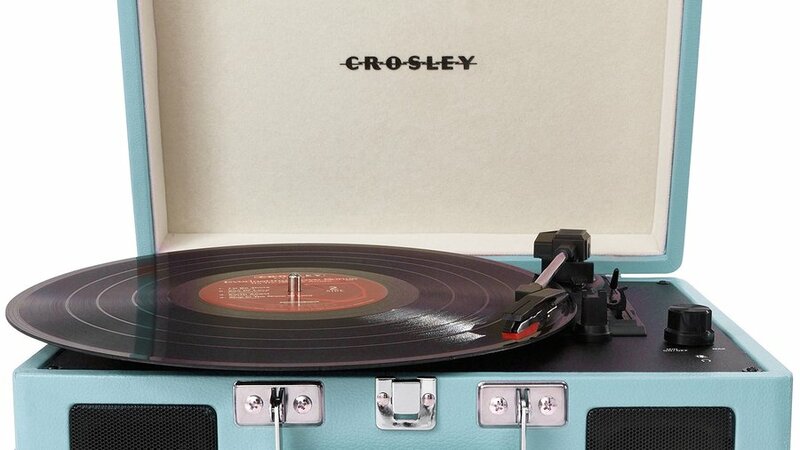 Leave your phone behind and relax at camp with your favorite vinyl. This battery-powered turntable includes built-in speakers and a headphone jack so you can listen without disrupting the neighbors. Cuddle in front of the fire with this light-weight, two-person chair. The loveseat has adjustable armrests so you can individually tailor the chair to your comfort, and insulated drink holders keep your beverages at just the right temperature while you relax. Never drink instant coffee again. 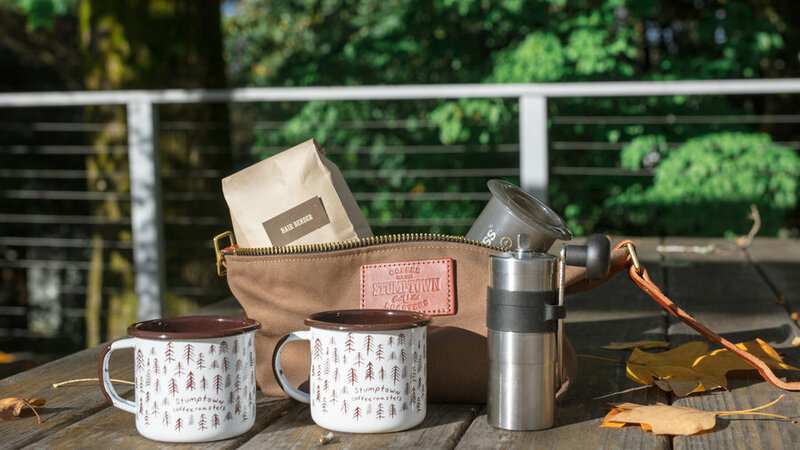 This kit will practically turn you into a master Stumptown barista…or close to it, with a travel grinder, AeroPress, Hair Bender beans, and an on-the-go brew guide. Remember, only you can prevent tired campers.